At its best cycling, like bicycle writing, provides a way of encountering familiar places in new and surprising ways. 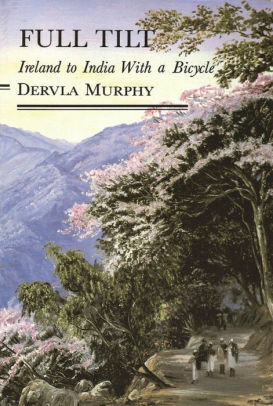 “It is by riding a bicycle that you learn the contours of a country best,” wrote Ernest Hemingway, “since you have to sweat up the hills and coast down them.” Two of the best books to celebrate this kind of discovery are Dervla Murphy’s Full Tilt: Ireland to India With a Bicycle, her classic account of a ride undertaken in 1963, armed with her bicycle, named Roz, and a pistol; and Emily Chappell’s What Goes Around. 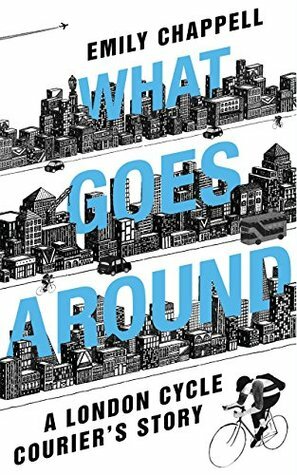 Chappell’s book is a memoir of the years she worked as a bicycle courier, a difficult and dangerous job often thought to be dominated by men. She writes beautifully about the freedom provided by cycling and the way in which riding a bike allowed her to rediscover both the London she thought she knew, and also herself. Also see Bella Bathurst's seven stone-cold classics about cycling, Jon Day's ten best books about cycling, the Barnes & Noble Review's five top books on cycling, John Mullan's list of ten of the best bicycles in literature, Marjorie Kehe's list of ten great books about cycling, Matt Seaton's top 10 books about cycling, and William Fotherham's top ten cycling novels.